Pain in the chest from gas “bubbles” can be sudden and severe. But so can the pain of a heart attack. Is there a way to tell one from the other if you’re just sitting at home when it happens? Usually, pain from gas (not passing gas, but from a so-called bubble in the intestinal tract) occurs lower than chest level and often in the rib area. Sometimes the pain is sharp or piercing – and usually it’s very brief. But there are times when gas inside the GI tract can generate pain that reaches the chest. 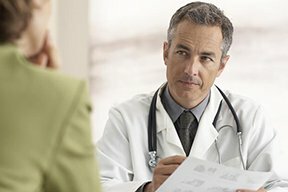 “Patients sometimes complain about chest pain associated with gas symptoms such as bloating, burping, farting or nausea,” says Benjamin Levy, MD, board certified gastroenterologist who provides clinical care to patients at Mount Sinai Hospital, Schwab Rehabilitation Hospital, and Sinai Medical Group Touhy Refugee Clinic. Is It a Heart Attack or Harmless Gas Attack? “Frequently it’s difficult to determine whether chest pain is heart related or related to gas,” says Dr. Levy. “If a patient experiences any of the following symptoms, I would urge them to immediately call 9-1-1 and seek medical attention because they may actually be experiencing a heart attack. A very brief (measured in seconds) episode of pain in the chest area – even very sharp pain – is not likely heart related, especially if there are no other symptoms such as the ones described above. The unlikelihood of a heart attack or other cardiac problem is even stronger if the person never experiences any sudden brief chest pain during physical exertion. Not only can internal gas cause pain in the chest that comes on suddenly and is gone in a flash, but so can a muscle spasm. Think of how painful a spasming muscle in the calf, arch of the foot or toe is. The cramping takes your breath away. If this same kind of spasm or cramp occurs in a chest muscle, this will be frightening because it makes you think something’s going on with your heart. Gas pain, though usually very brief, can also last longer than a few minutes too. When this happens, it’s even scarier – especially for the person who has risk factors for a heart attack such as high blood pressure, smoking, obesity, avoidance of exercise and poorly controlled diabetes. “Often, physicians and medical professionals cannot differentiate between heart attacks and other conditions without obtaining an ECG, emergency labs and cardiac imaging,” says Dr. Levy. “Sometimes, gas symptoms are associated with heartburn too,” says Dr. Levy. “Gas symptoms can be prevented by not inhaling excess air when eating, so I encourage everyone to SLOW DOWN WHEN YOU EAT!